Well, my second peony of the year bloomed today, Peony 'Halcyon'. It is a gorgeous pale lavender pink, another pretty pastel spring color. I love the color lavender in peonies, and the lavender pink of this very early blooming A. P. Saunders variety hints at the lavender color of the later blooming (but still early blooming) Peony 'Lavender'. Since we had an early spring with no late frost to blast these early buds, all of my very early blooming peonies are blooming fabulously this year. The First Bloom of the Year was Peony 'Nova'. In fact, these early herbaceous peonies are even blooming before my tree peonies this year. 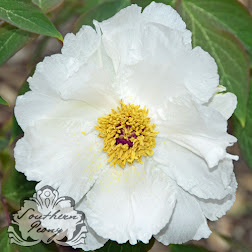 Last year the First Peony Bloom of the Year was Tree Peony 'White Phoenix'. If your peonies haven't quite woken up yet, then you may want to consider adding some very early blooming peonies to your garden this fall. 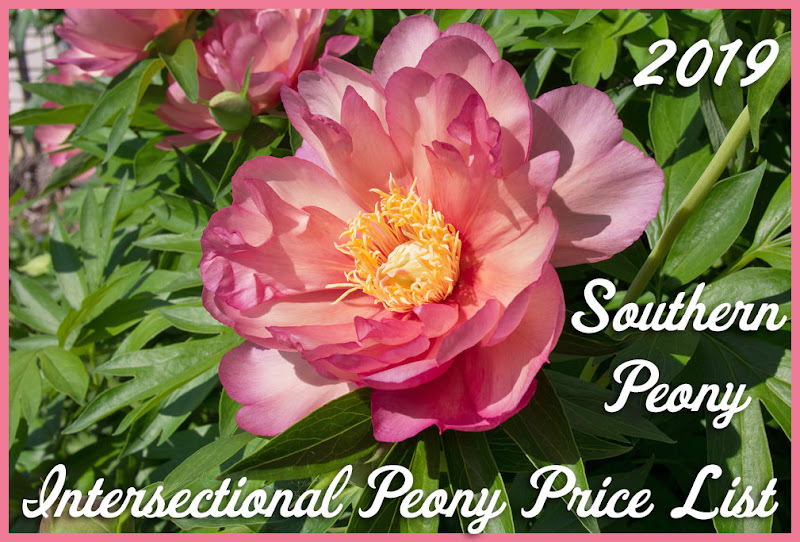 2016 Peony 'Sarah Bernhardt' for $1.69 at Aldi's! 2016 It's Starting... Tree Peonies are Waking Up!